- Desiccated Coconut Powder Grinding Machine also known as Coconut Kernel Grinding Machine. 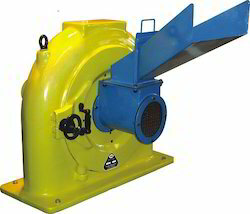 - Options like bare machine and machine with stand (batch type) is possible for grinding coconut. - Input feed size of the material should be 30 mm less. - Uniform feeding to mill is recommended to avoid choking. We are one of the leading manufacturer & exporte of Mini Coconut pulveriser in Mumbai India. Banking on our enriched industry experience, we are able to supply Coconut Grinding Machine. Our reputed entity is engaged in supplying Coconut Pulverizer.